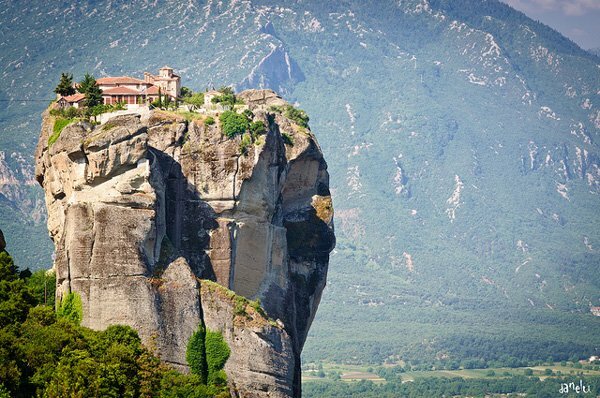 In the heart of north central Greece resides one of the most breathtaking monastery in all of Europe. It is located at 1,027 feet above sea level in cliffs high above the surrounding landscape. But why would you travel half way across the world to see this gorgeous monastery? 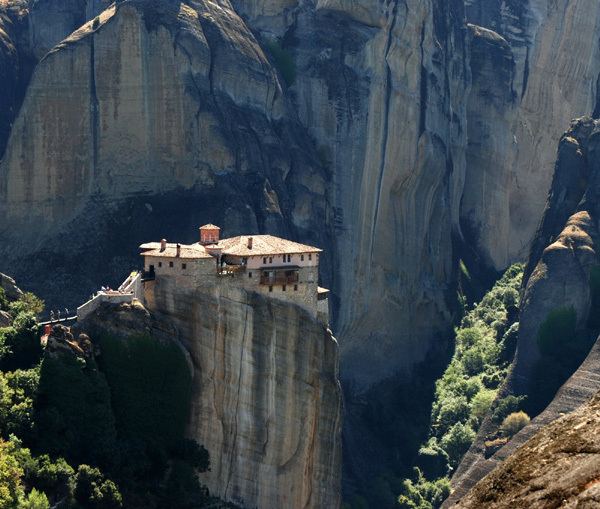 Meteora is one of the most important complexes to the Eastern Orthodox Church in Greece. It dates back to 1545 and has a history predating many villages in Greece. Its original founders were monks looking for a political safe haven during the tumultuous times of the day. They successfully escaped the woes and perils they faced by choosing a prime location to stay huddled up without fear of invasion. For visitors looking for a once in a lifetime experience Meteora is the perfect place to visit. Any individual who is interested in the rich history of monasteries and how they come into existence will find a trip to Meteora exhilarating and life changing. The true gem of the complex is by far the Roussanou Monastery. 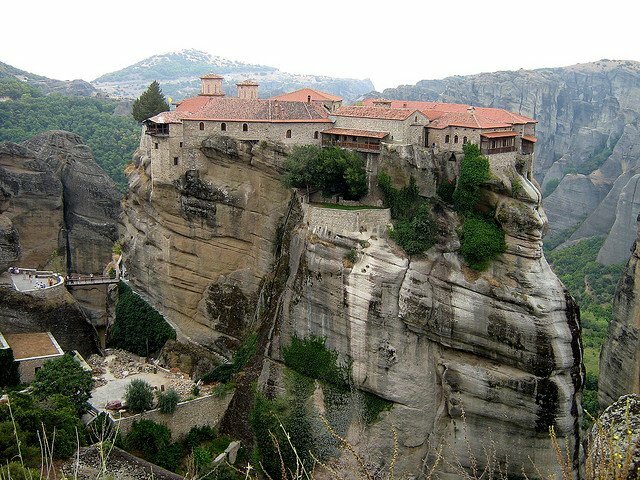 The Roussanou monastery is believed to have been named after a monk known for being elusive and introverted, and one has but to lay eyes on the monastery to understand why a hermit would love to reside there. In order to reach this impressive building you have to traverse a wooden panel bridge from another peak. Once there you will find it was well worth the effort. The view alone offers a picture that will be forever etched in your memory. If you arrive early in the morning you may experience slight morning fog that falls over the valley as you heroically stand above it. Once you reach the interior of the building you will be greeted by nuns who now run the Church. Inside you will find gorgeous wall paintings, wooden iconostasis and icon stands all of which make up the religious items celebrated and worshiped in the complex. In addition to the rich history and breathtaking views surrounding the Meteora area, there are also other activities to enjoy during your visit. Rock climbing is extremely popular in this location due to the unique rocks upon which the monastery was built. Of course, you don’t have to be an expert to enjoy this sport. Trainers and coaches offer beginner classes for you to get your footing before climbing the tall rock formations. 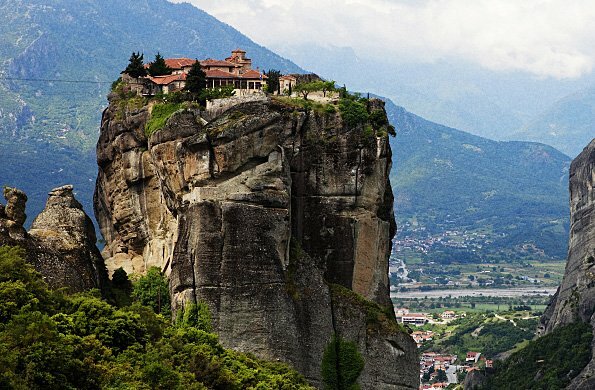 Whether you are a world traveler looking for locations rich in history to see in your lifetime, or an avid Orthodox Church member, the monastery of Meteora is a holy location you cannot miss!